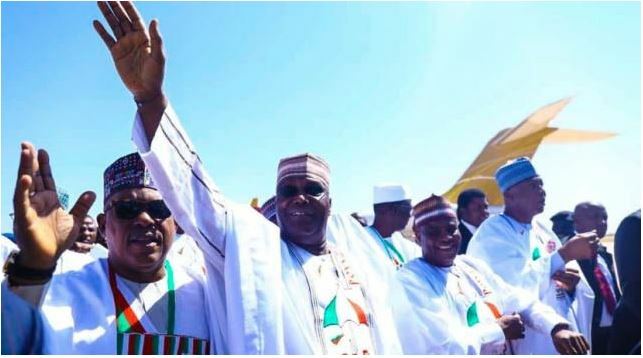 Former vice president , who is also the presidential candidate of the main opposition party PDP Alhaji Atiku Abubakar, has released further evidences about the server of the Independent National Electoral Commission (INEC) to support his claims of his victory over President Muhammadu Buhari, candidate of the All Progressives Congress (APC), in the February 23 presidential election. INEC had earlier declared Buhari winner of the election, saying he gathered the total votes of 15,191,847 to defeat Atiku, who scored 11,262,978 votes. However, Atiku has since claimed he actually polled 18,356,732 votes to Buhari's 16,741,430, citing figures from INEC's server. While Atiku continues building his case on his access to the INEC server, the APC has already taken a different course, instead of telling the tribunal Atiku shouldn't have been eligible to contest the election in the first place because he was not born a Nigerian but a Cameroonian.